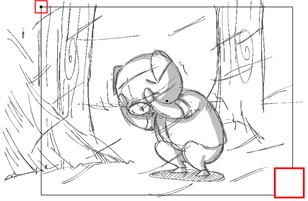 Each panel in your storyboard will, by default, have a camera frame set to the animation standard of 12 fields. In this section, you will see what the camera frame looks like and how to modify the size and position of the camera. 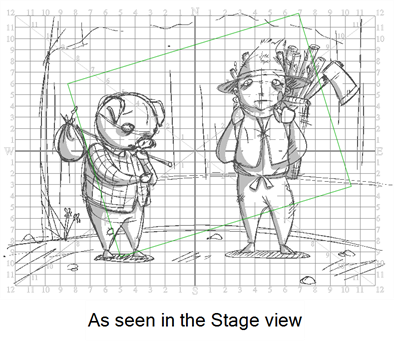 In the Stage view, the camera is displayed as a frame that matches the aspect ratio of your chosen resolution—see Stage View. 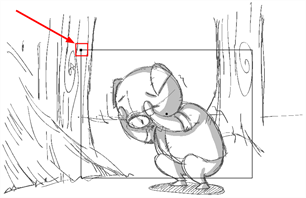 The Camera status bar appears at the bottom of the Stage view and contains shortcuts to tools used most often when at the animatic stage of the storyboarding process. This status bar is visible by default, but you hide it via the Preferences dialog box under the Camera tab—see Stage View. The term Static Camera is used to describe the framing of an entire scene, where there are to be no changes over time; when the camera is not moving. 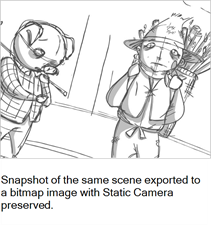 In this section, you will learn how to position the Static Camera in a 2D space. You do not need to create keyframes when making changes to the Static Camera. Any changes you make to the Static Camera affect the entire scene. From the Camera toolbar or the Tools menu, select the Camera tool. 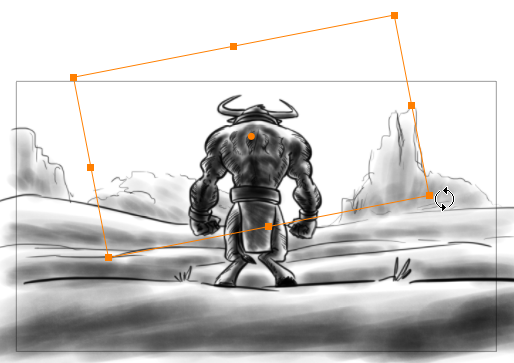 Once the Camera tool is active, your scene’s camera frame will become visible and be represented by a black box. 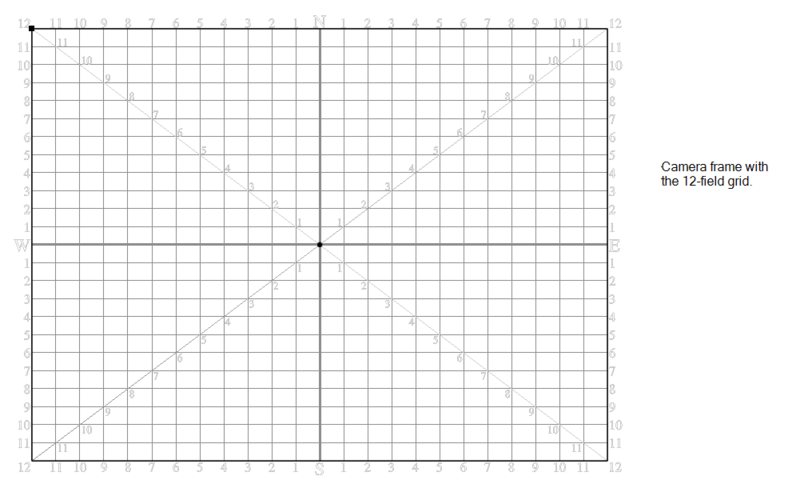 The default camera frame is set to 12 fields. ‣ To position the selected keyframe along the Z-axis to create a truck in or truck out movement, drag the top-left corner of the frame when you see the Truck icon. If you want to modify the Zoom level, use the Field of View field in the Tool Properties view. ‣ To rotate the Static Camera, drag the top-left corner of the frame when you see the Rotation icon. Holding the Shift key while rotating the camera frame constrains the rotation to 15 degrees increments. ‣ To move the Static Camera, drag the frame from the centre pivot point or the outer edge of the camera frame when you see the Drag icon. Holding the Shift key while dragging the camera frame constrains the movement either horizontally or vertically. 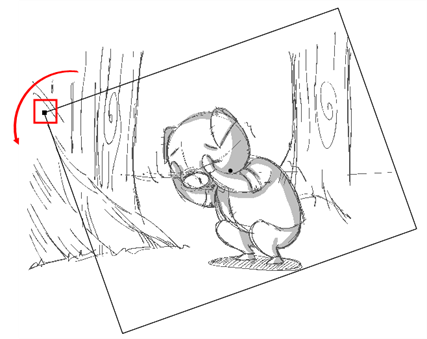 If you need to reuse a camera position, you can copy and paste it from one scene to another. It is not necessary to have the Camera tool selected to perform this operation. 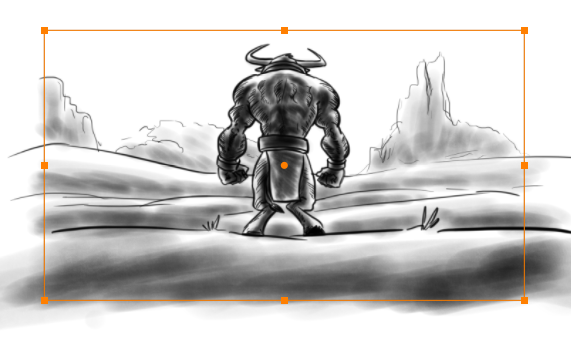 In the Timeline view, select the scene from which you want to copy the Static Camera. Select Camera> Copy Camerafrom Selected Panels. Once again, from the Timeline view, select the scene to which you want to paste the copied camera information. Select Camera > Paste and Fit Cameraon Selected Panels. You can always revert to the original Static Camera. 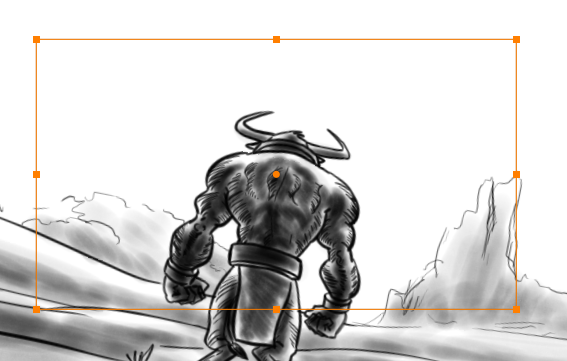 In the Timeline view, click to select the scene where you want to reset the Static Camera. Select Camera > Reset Camera or click the Reset Camera button in the Camera Tool Properties view.